Bitte neues Logbuch mitbringen, da das alte voll ist. Please bring a new logbook as the old one is full. 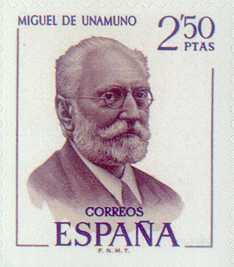 On September 29th, 1864 Miguel de Unamuno was born in Bilbao (Basque country). In 1891 he became professor for Greek and Spanish language at the University of Salamanca, where he was headmaster from 1901-14 and from 1934-36. Because of his criticism of the Spanish dictator General Primo de Rivera – thus political reasons – the writer Miguel de Unamuno landed in his exile of Fuerteventura on March 3rd, 1924. His domicile then in the capital of the island Puerto del Rosario was rearranged into a museum of Unamuno in the meantime. Unamuno availed himself of the loneliness of the island and he spent his time literarily on the traditions of the island, its people, and of course, the nature. On July 9th, 1924, after only four months of exile, he incognito broke away to Paris. He wrote the novel „De Fuerteventura a Paris“ about his exile. Due to the poet’s forced stay the island became internationally known for the first time and today Unamuno has a place of honour in the history of Fuerteventura. In spite of his amnesty Unamuno returned from France to Spain only after overthrow of the dictator Primo de Rivera. The Monumento de Unamuno is located approx. 1 km south of Tindaya, at the bottom of the volcano Montaña Quemada. To be seen from far, a larger-than-life statue of the famous Spanish poet and philosopher raises from a pedestal, placed in front of a wall which resembles the island-typical embracing walls of old ermitas. The statue was accomplished in 1970 by the Canarian sculptor Borges, but only 10 years later, after the end of the Franco dictatorship, it was inaugurated officially. Der am 29. September 1864 in Bilbao geborene Baske Miguel de Unamuno wurde 1891 Professor für Griechisch und Spanisch an der Universität Salamanca, der er von 1901-14 und von 1934-36 als Rektor vorstand. Wegen seiner Kritik an dem spanischen Diktator General Primo de Rivera – also aus politischen Gründen – landete der Dichter Miguel de Unamuno am 10.3.1924 in der Verbannung auf Fuerteventura. Sein damaliges „Domizil“ in der Inselhauptstadt Puerto del Rosario wurde zwischenzeitlich in ein Unamuno-Museum umgewandelt. Unamuno nutzte die Einsamkeit der Insel und widmete sich literarisch den Traditionen der Insel, ihren Menschen, aber auch der Natur. Am 9.7.1924, also nach nur vier Monaten Verbannung, setzte er sich unerkannt nach Paris ab. Über sein Exil schrieb er den Roman „De Fuerteventura a Paris“. Durch den unfreiwilligen Aufenthalt des Dichters wurde die Insel erstmals international bekannt und er besitzt heute einen Ehrenplatz in der Geschichte von Fuerteventura. Trotz Amnestie kehrte Unamuno erst nach dem Sturz des Diktators Primo de Rivera aus Frankreich nach Spanien zurück. Das Monumento de Unamuno befindet sich rund 1 km südlich von Tindaya, am Fuße des Vulkankegels Montaña Quemada. Weithin sichtbar erhebt sich auf einem Sockel ein überlebensgroßes Abbild des berühmten spanischen Dichters und Philosophen vor einer Mauer, die an die inseltypischen Umfassungsmauern alter Ermitas erinnert. Das Standbild wurde 1970 von dem kanarischen Bildhauer Borges vollendet, offiziell eingeweiht werden konnte es aber erst 10 Jahre später, nach dem Ende der Franco-Diktatur. Small note on cache maintenance: A friend on Fuerte is willing to maintain the cache in case of need. Edit 20.2.2013: Hint modified according to dameblanche's log of 18.2.2013. Gur pnpur vf uvqqra yrsg sebz gur lrne. Gur crgyvat vf uvqqra ng bar naq n unys zrgref uvtu oruvaq n fznyy fgbar.